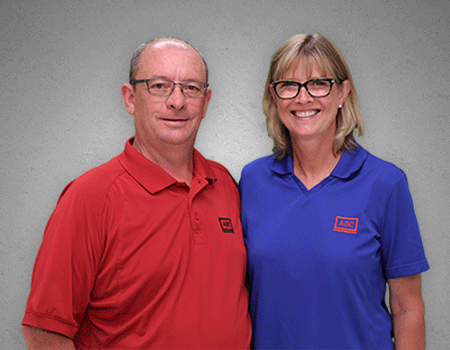 About Us - ABC Electric, Inc.
ABC Electric has been serving the Omaha and Council Bluffs area since 1960, and when the opportunity presented itself, Tom and Annette Respeliers purchased the company in 1993. It was then that they decided to take the commercial and industrial industry by storm. ABC Electric now has a long-standing relationships with many large companies including Plumrose, Tyson and ConAgra Foods. ABC Electric has experienced staggering growth since, from a small firm with 7 electricians to one of Council Bluffs’ pre-eminent firms with more than 20 electricians completing numerous commercial and industrial projects. Tom joined The International Brotherhood of Electrical Workers (IBEW) Local 22 Union as an apprentice in 1977. Soon after, Tom worked at Donovan Electric for 9 years as Superintendent, Vice President and Project Manager. Since his purchase of ABC Electric in 1993, the company has grown immensely. Vicky came to ABC Electric in 1993 with over 20 years of experience managing accounting in the construction industry. She continues to be a valuable addition to the ABC Electric team. Shawn has been with ABC Electric since 1994 and joined the International Brotherhood of Electrical Workers Local 22 Union as an apprentice in 1995. Shawn has been with the company throughout the length of his electrical career and has contributed to our success. Jeff joined the International Brotherhood of Electrical Workers Local 22 Union as an apprentice in 1984. Jeff came to ABC Electric in 2004. His industry experience and expertise has contributed to our success as a company.